Microsoft was all set to launch the Xbox One in China on Tuesday, but in the latest announcement, the company has said that it is putting the release off. The ‘historic’ event has been scheduled for later this year. This is a surprising turn of events as this release was marking the end of a nearly 14 year ban and the release of the Xbox One was being considered as the first game console to be launched in the Chinese market. It is even more surprising to learn that no precise reason was offered by the software giant for the delay. It only made a statement over the weekend, which only said that more time was required. However, Microsoft did add that the release would be made within this year. This news was announced just as the company is on the receiving end of a government probe for ‘monopoly actions’ that are concerned with its Office suite software and its flagship Windows operating system. On its official Chinese blog, the company made a post, in which it assured its Chinese customers that the company needed some additional time for providing the best possible experience to people in China, even though it had been making steady and strong progress. The posting added that the Washington-based firm was looking forward to launching the Xbox One in China before the end of the year. 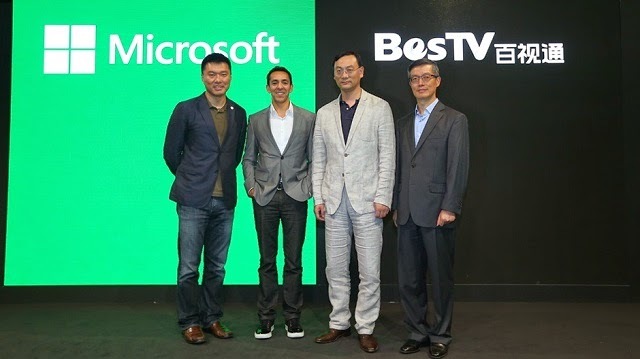 The posting said that the launch of the gaming console would be historic for families and gamers when the first console of its kind would be launched by BesTV and Microsoft in China. BesTV News Media is a Chinese partner and Shanghai Media Group’s subsidiary. In July, the Xbox One was hailed as the first gaming console that would be available in China through authorized channels after the year 2000. The government had finally given permission to foreign firms to manufacture their consoles in the free-trade-zone (FTZ) in Shanghai for selling them in the local market. The FTZ had been set up in China as a testing bed for economic reforms. According to a document that was posted previously on FTZ’s website, operations in the zone by a joint venture of a local Chinese firm and Japan’s Sony, which is the manufacturer of rival console line of PlayStation, will be starting from December onwards. Microsoft isn’t just facing allegations regarding its Office Suite software and its flagship Windows OS, one of the bodies that enforce the anti-monopoly law also said that they were also keeping an eye on the browser and media player used by Microsoft. Nonetheless, the software maker has made it clear that it wishes to remain compliant with the Chinese law. But, this investigation isn’t working in favor of the firm because China has heightened its security against foreign companies in a wide range of industries, including the auto and pharmaceutical sectors. It would be a great loss for Microsoft if it wouldn’t be able to release its product in the Chinese market, which is one of the biggest markets of the world.